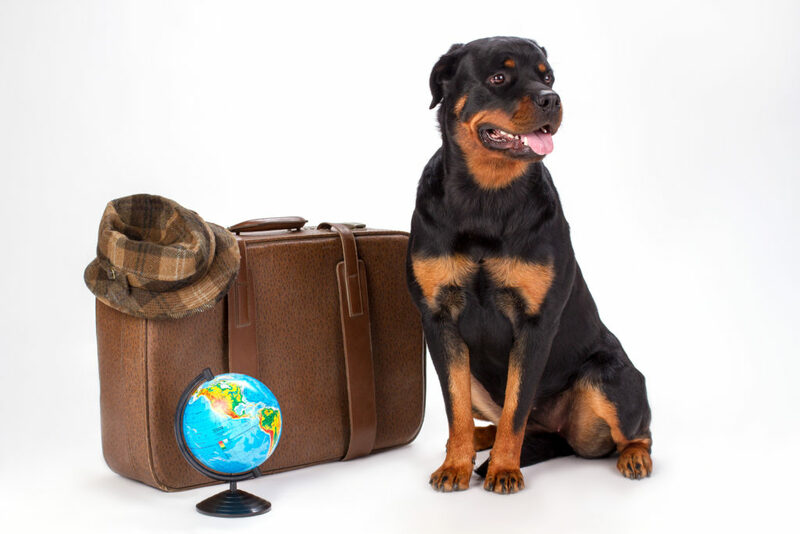 Moving and traveling with your dog can be quite stressful, but it doesn’t have to be! Here are some helpful guidelines to ensure your furry friend is happy and safe during the move. This will be the biggest question you’ll have to answer, whether to fly or drive your pets, and that will depend mostly on where you’re moving to and your pet’s personality. How far are you moving? Is it possible to fly? 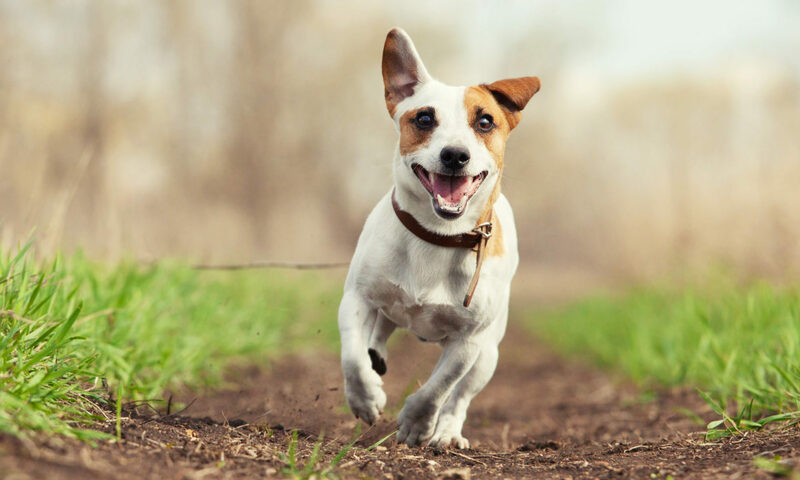 How healthy is your dog? Will a flight be too stressful? Before moving or traveling with your pet, you should consult with your veterinarian. They’ll be able to give you additional guidelines on how best prepare your dog to move. They’ll also be able to provide a health certificate and rabies vaccination documentation for your animal. These documents are required by some cities (and countries if you’re moving internationally). Additionally, you can also ask your vet for recommendations or referrals for new vets in the city you’re moving to. This will be the easiest option. Consider putting your dog into a daycare facility or having a friend look after them for the day. This will help you focus on packing and your dog will have a day of fun! This takes some additional preparation and planning. First and foremost, try some test runs in the car if you haven’t before (just not to the vet!). What’s the energy level of your dog in the car? Are they able to sit still? If not, you should consider crating them so that they’re not a distraction and won’t be able to hurt anyone or themselves. Make sure you take the time to properly plan out your route ahead of time, including scheduling ample play and potty breaks. To this point, try and keep your dog’s normal schedule while you’re on the road. This will help them feel more at ease with the experience. If you plan on staying somewhere, book your accommodations well ahead of time. Hotels and motels are not always pet-friendly, so make sure you check their website and/or call ahead of time to confirm. You can find a pet-friendly road trip planner here. When packing the car, pack carefully so that your family and your animal have enough room to be comfortable. Also make sure to bring things like dog food, pet wipes, bottled water, treats, toys, and any medications your pet might need. Flying with a pet can be a bit more complex as every airline as different rules and policies. Click here for an outline of these policies for every major airline. As a rule of thumb, make sure to arrive at least three hours before departure. This will allow you ample time to check your pooch in and deal with any issues that may arise. Also ensure that your pet carrier is an IATA (International Air Transport Association) approved carrier as most airlines will insist on it. Only small animals will be able travel in the cabin with you. Larger dogs will be sent as special baggage to a heated and ventilated hold, which, counter-intuitively, is actually much less stressful for your animal than the main cabin. Congratulations you’ve made it! To help your four-legged friend acclimate to his new home and surroundings, try and be home for the first week or so. It will be less stressful for your animal having a familiar presence in an unfamiliar house. Also try and explore the neighborhood with them. Help them get used to your block and play with them at any nearby parks or recreation fields.